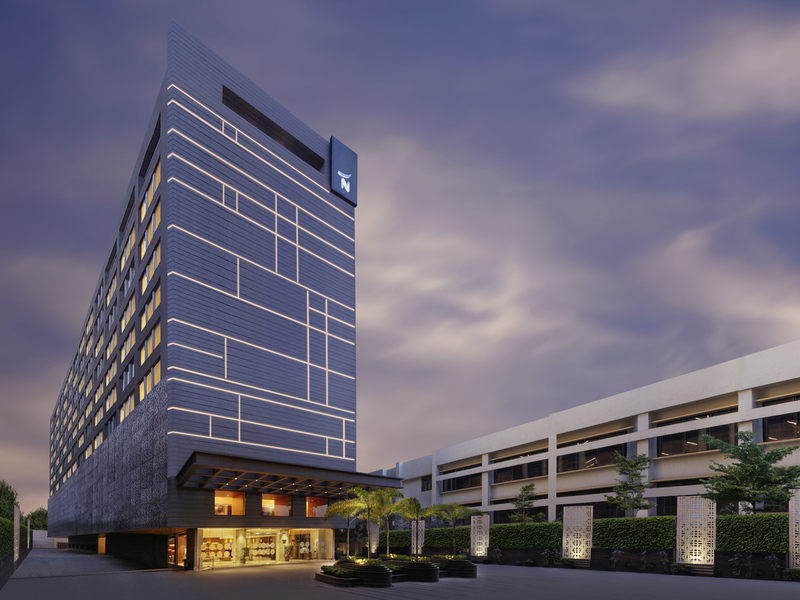 Featuring a host of 5-star amenities, the hotel sets the gateway of international hospitality to North East India. The hotel presents 118 sophisticatedly designed rooms & suites, 4 meeting spaces with modern infrastructures that can accommodate up to 250 guests. It also offers wellness options such as Spa, Fitness Centre & rooftop infinity swimming pool along with multifarious dining options. Being strategically placed near the business district it offers a prime location in the heart of GS Road. Eccentric roof-top infinity swimming pool, Spa & 24/7 Fitness Centre. Multivarious dining options offering varied range of international cuisine. Chic poolside bar with an aura for an ideal starlit evening. Meeting venues with modern facilities to cater up to 250 guests. The 26sqm Deluxe Room features 1 Double Bed or 2 Single Beds, new generation design, complimentary WiFi and tea and coffee making facilities. Up to 2 adults and 1 child. Superior Room with 1 king sized bed. Superior Room with 2 single sized beds. Executive Room with 1 king sized bed. Executive Room with 2 single sized beds. The Square prepares daily extravaganza of international fare for gourmet adventurers that enjoy variety and quality. The all day dining offers a global buffet concept with an eclectic mix of live cooking combined with a selection of local Indian cuisine. A pleasant outdoor setting with interactive live kitchen offers a wide array of freshly baked pizzas and shawarmas which you must try with chilled beer or choose from our speciality beverage menu to enjoy an ideal evening. A plush lounge with a warm ambience to relish a perfect evening with your friends, business associates.The chic & contemporary cocktail studio offers a wide selection of single malts, newly crafted concoctions of smoked cocktails, wines & choicest cigars.